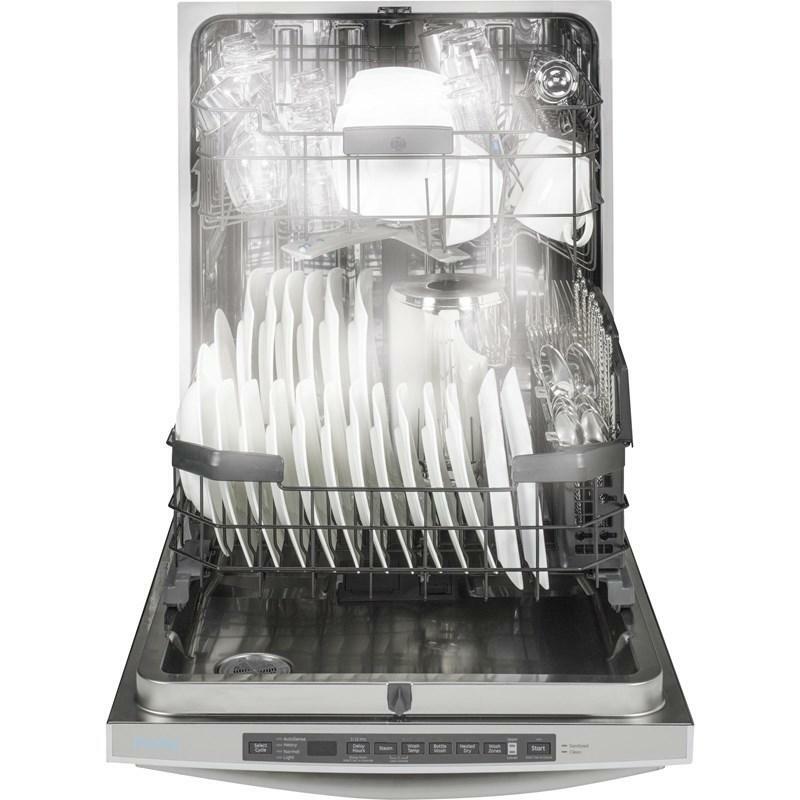 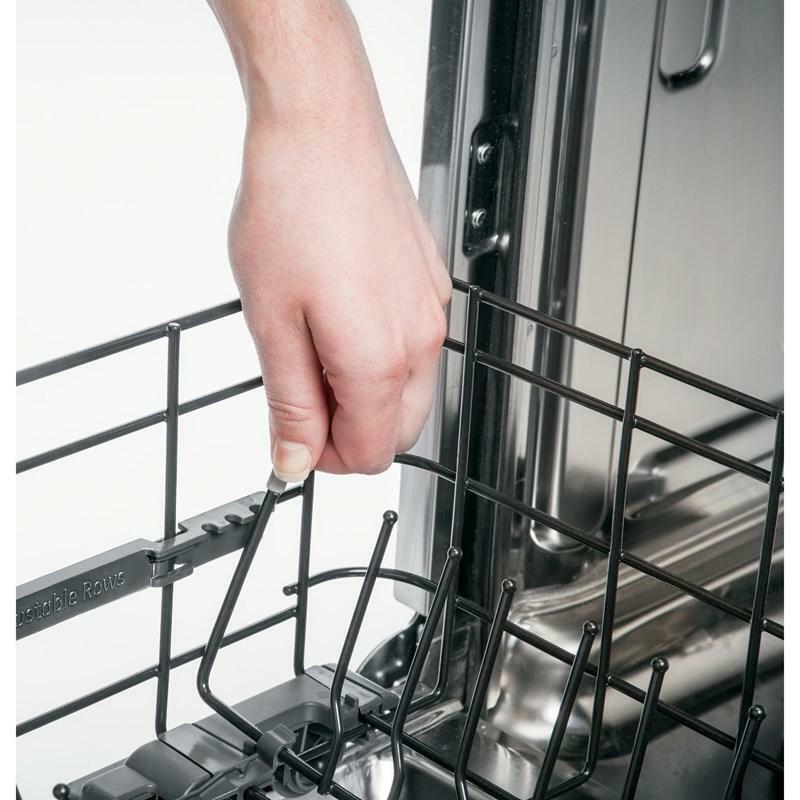 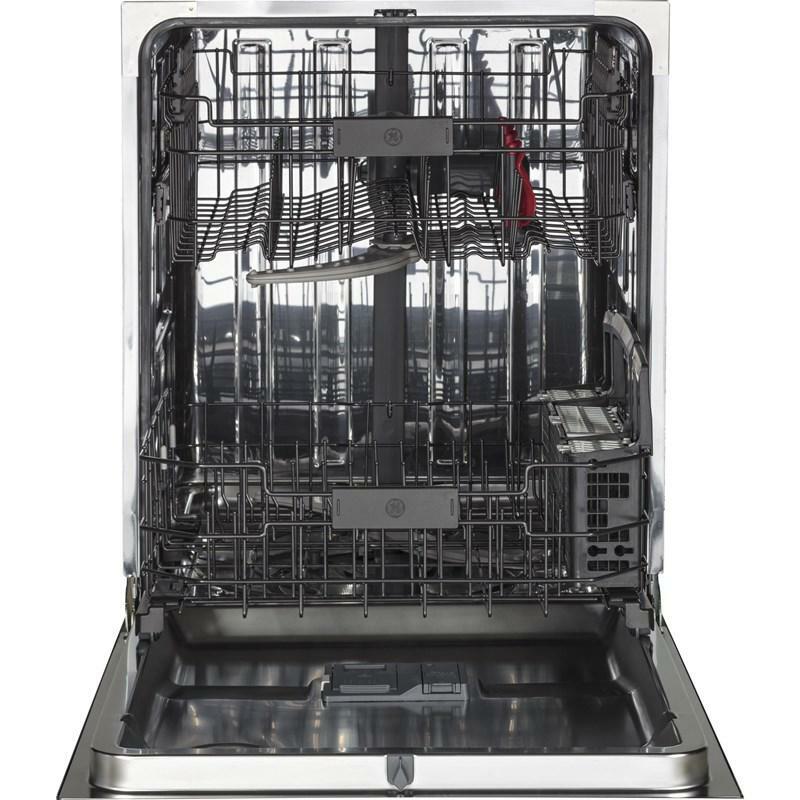 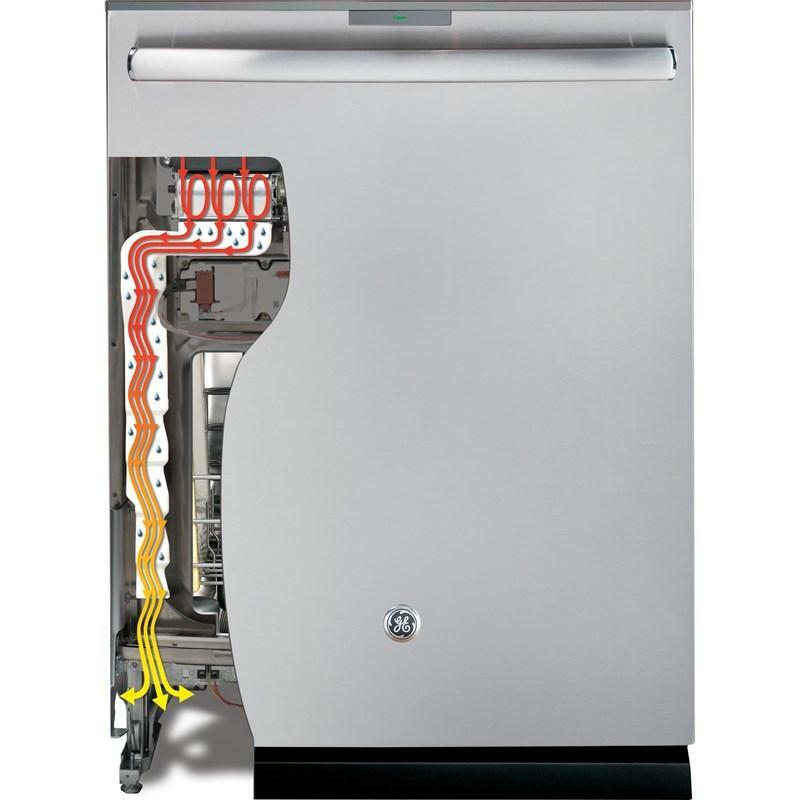 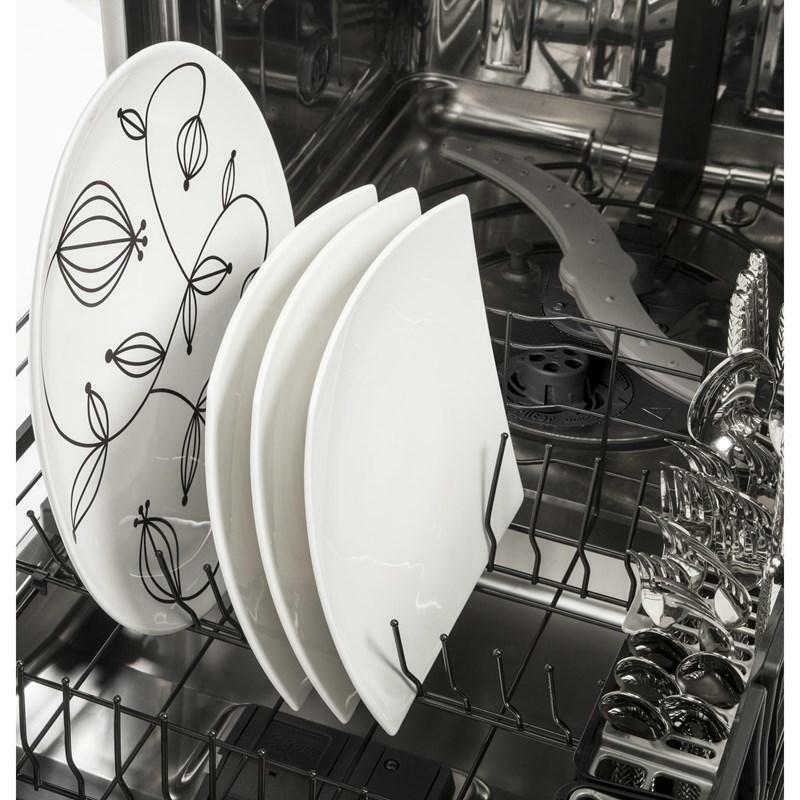 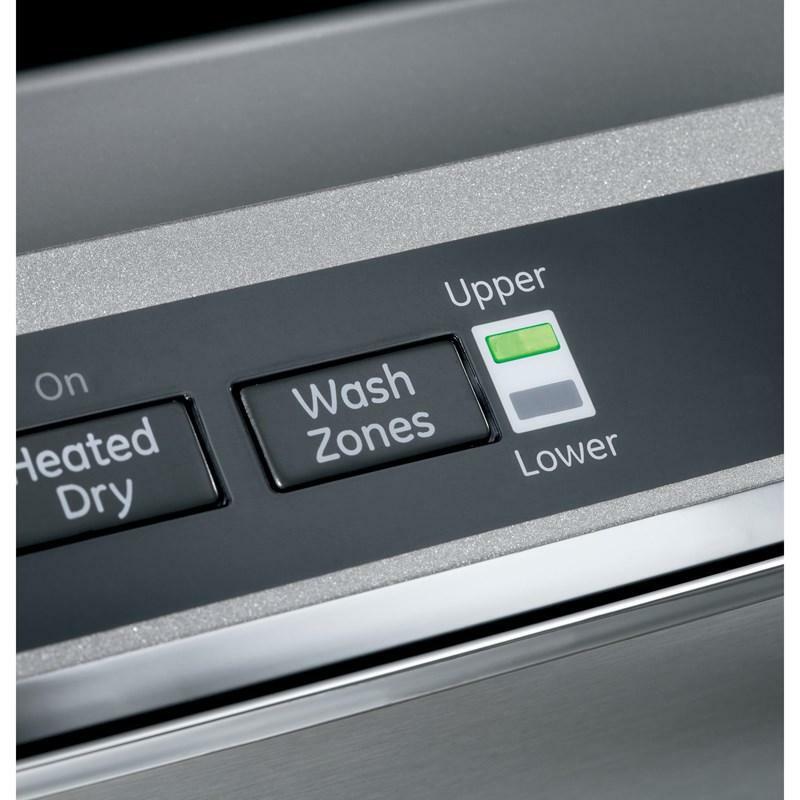 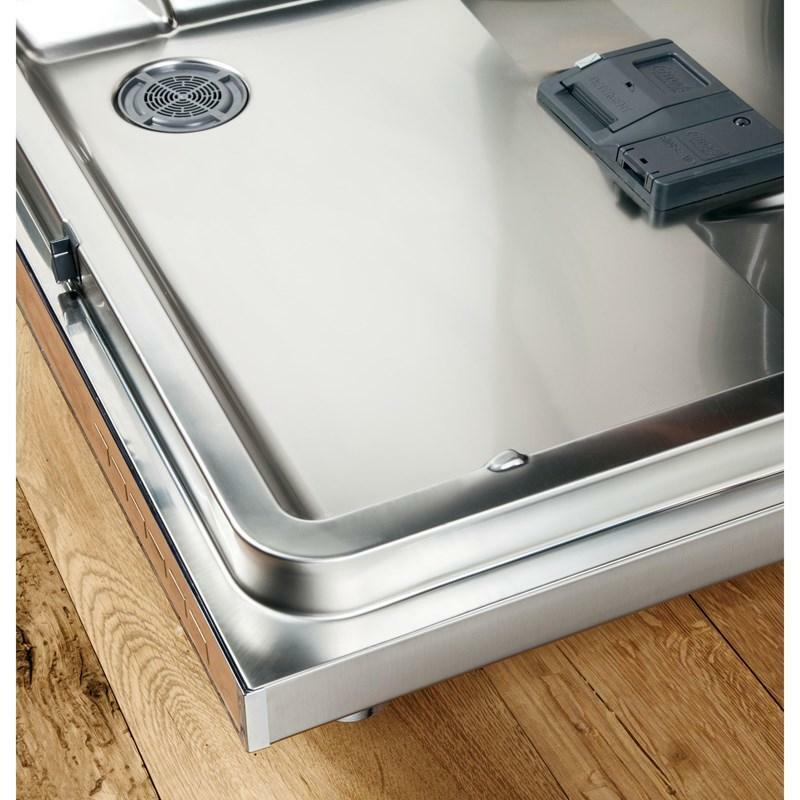 GE offers an Energy Star® qualified stainless steel interior dishwasher with hidden controls and a full-extension smooth-glide upper rack. 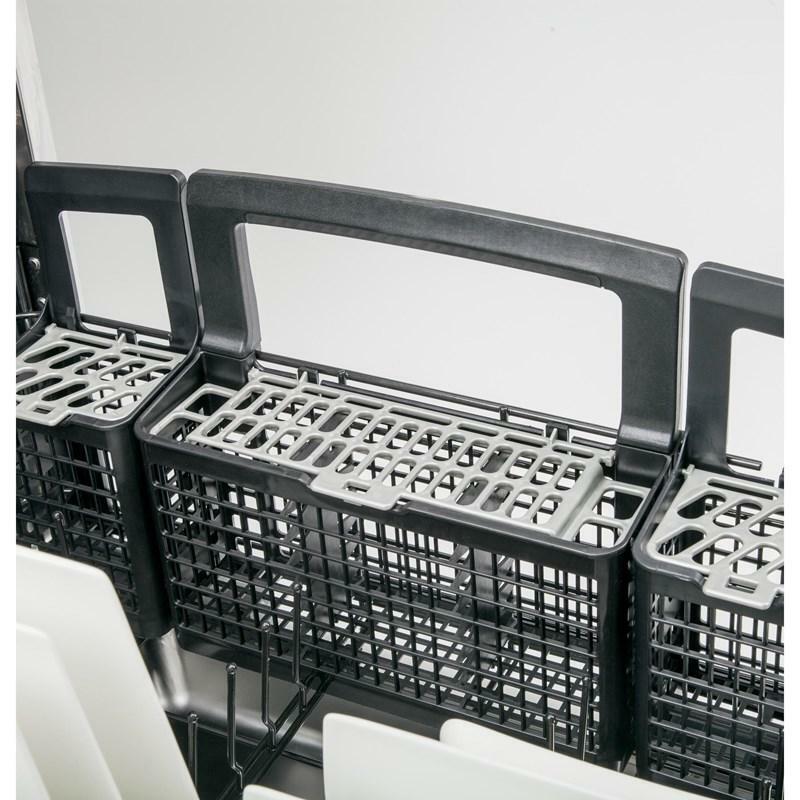 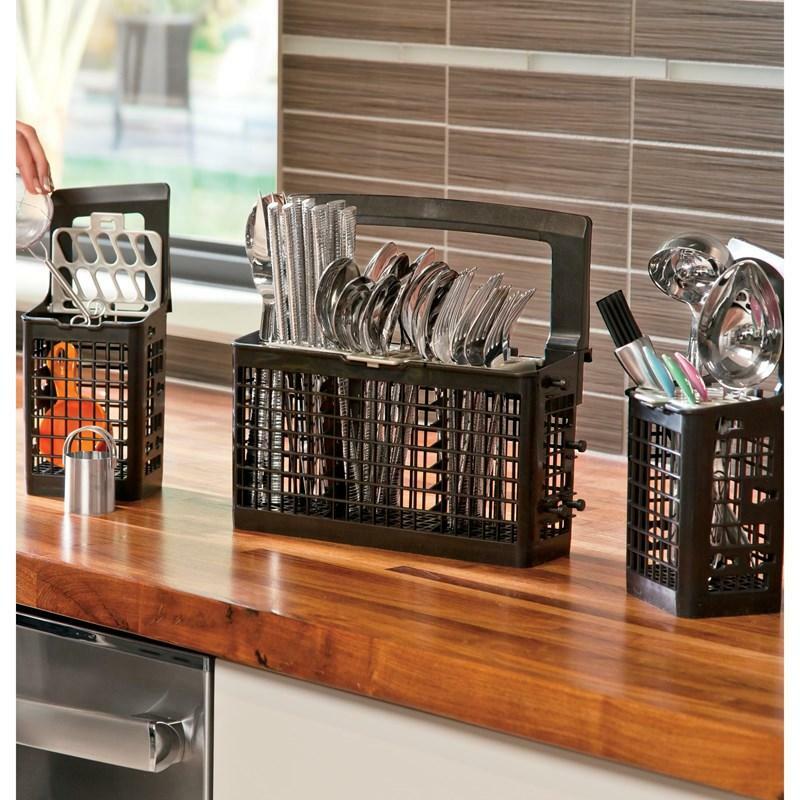 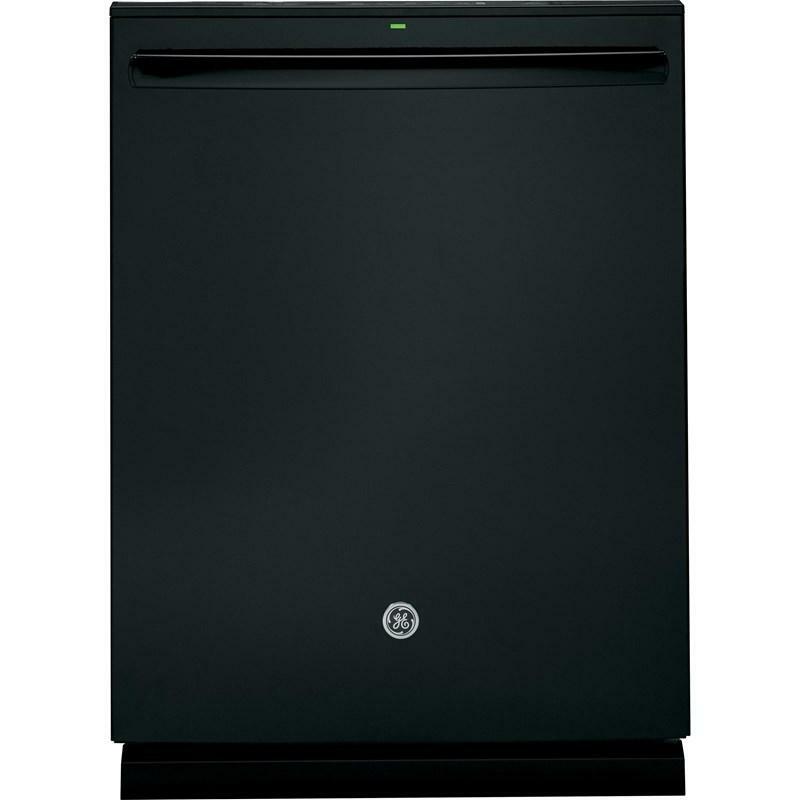 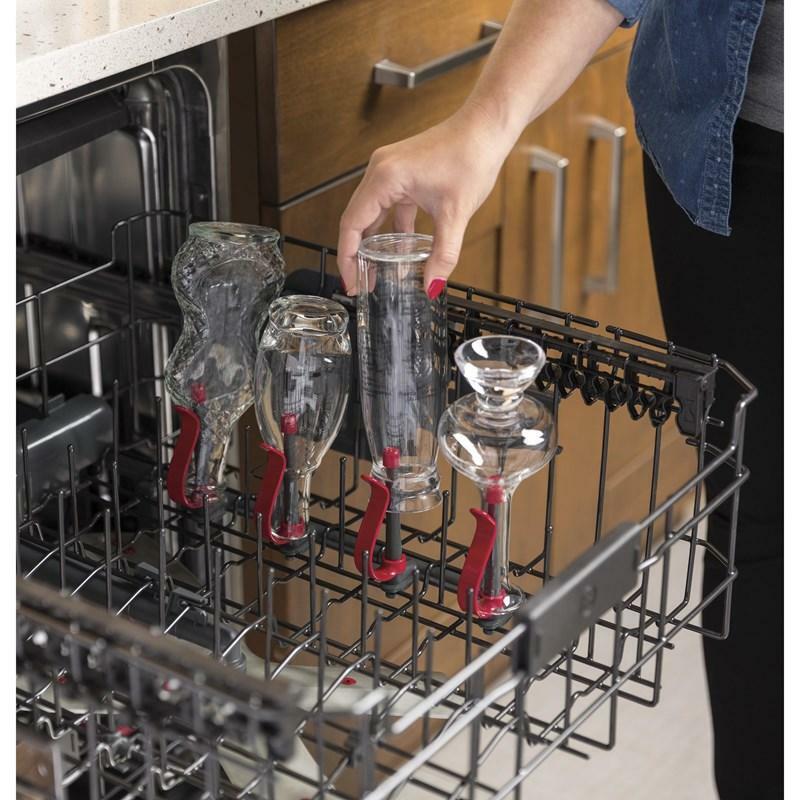 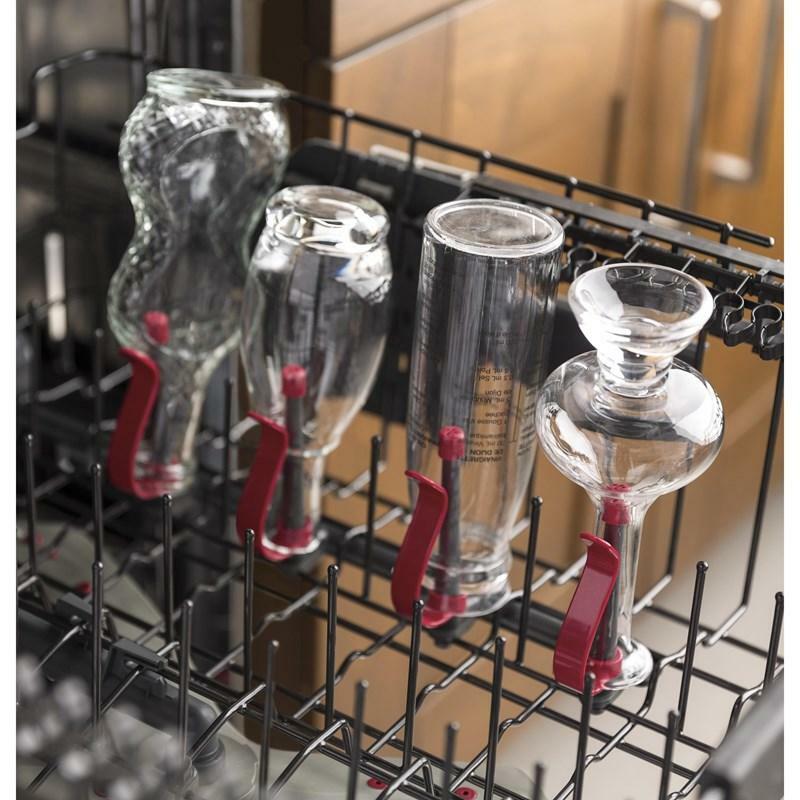 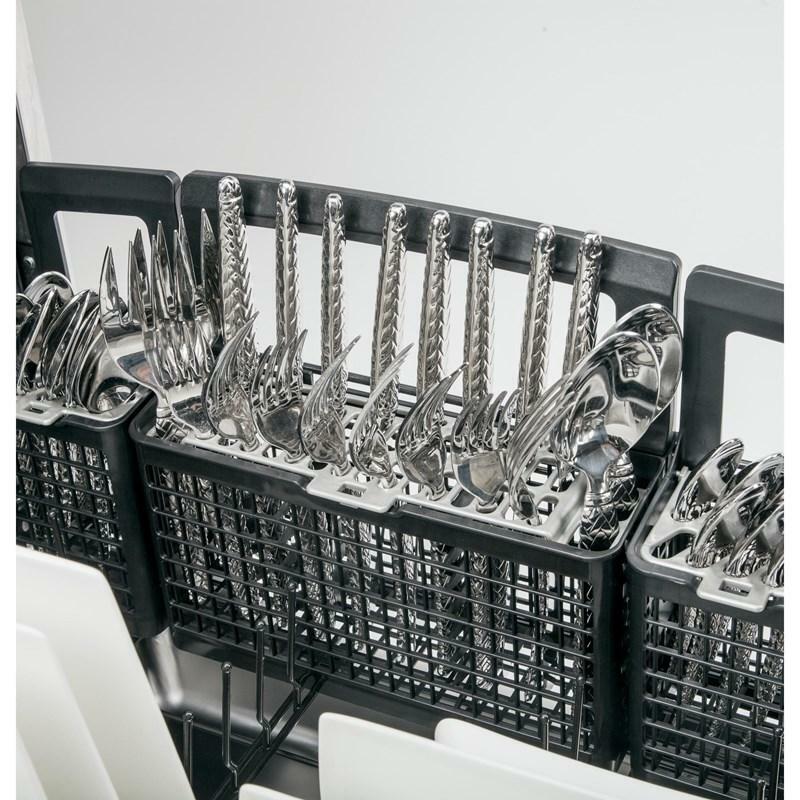 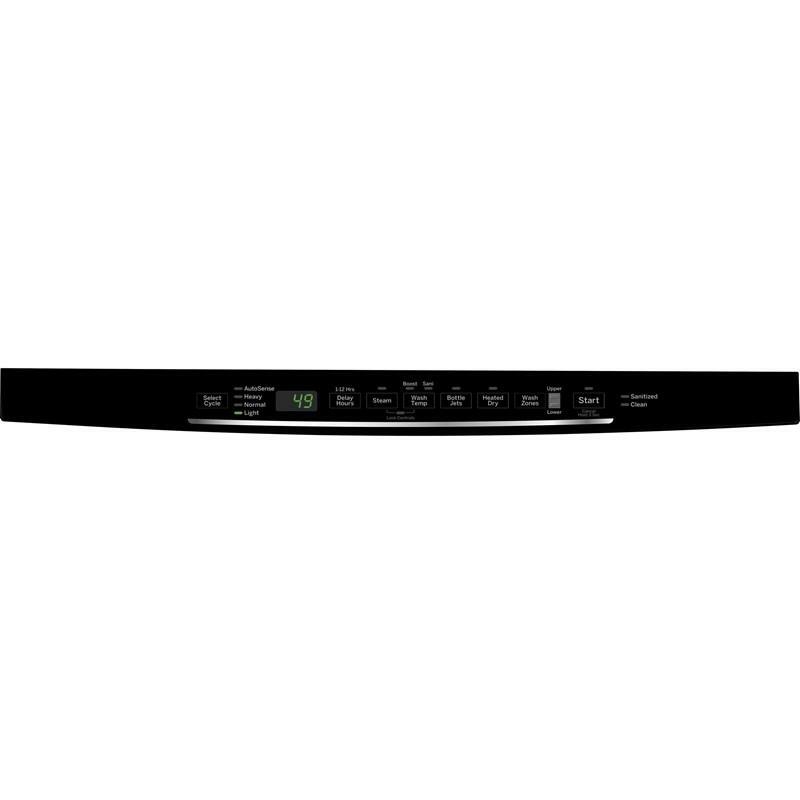 This black appliance provides an easy touch adjustable rack with 2 Stem Safe shelves and GE's most advanced wash system, featuring 65% more wash power. 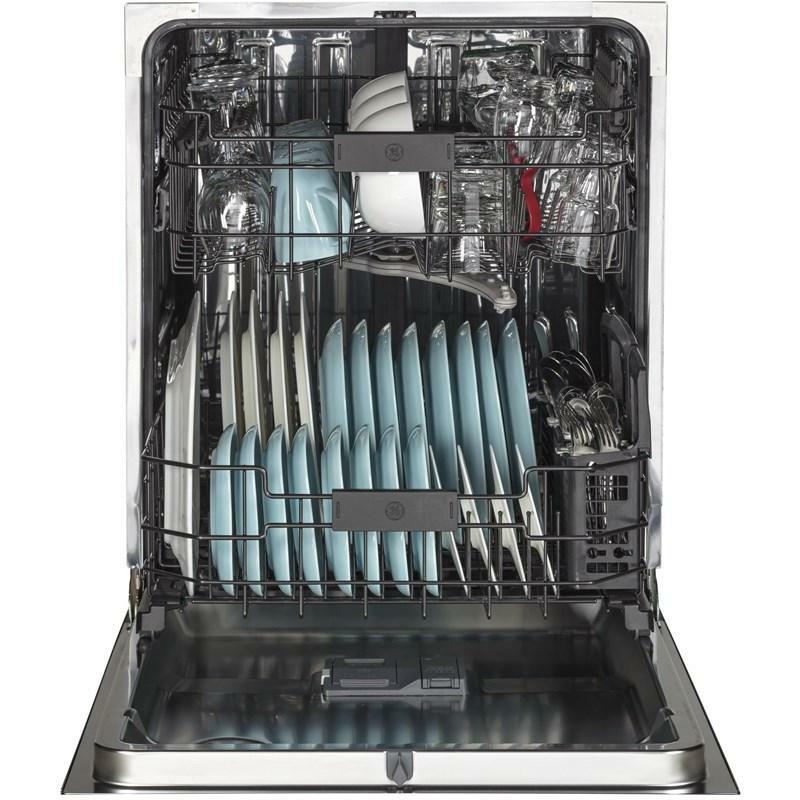 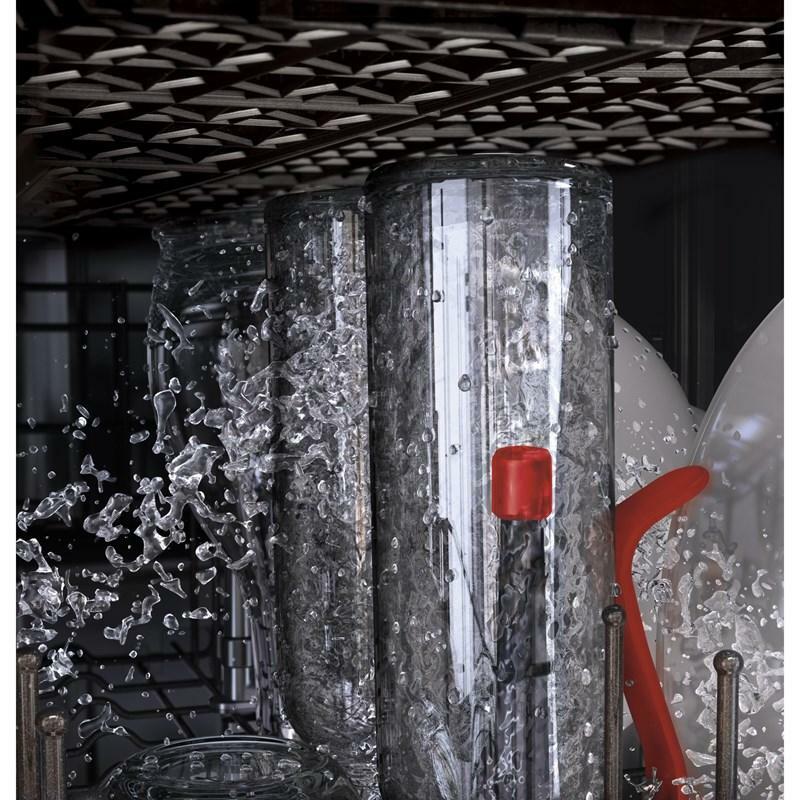 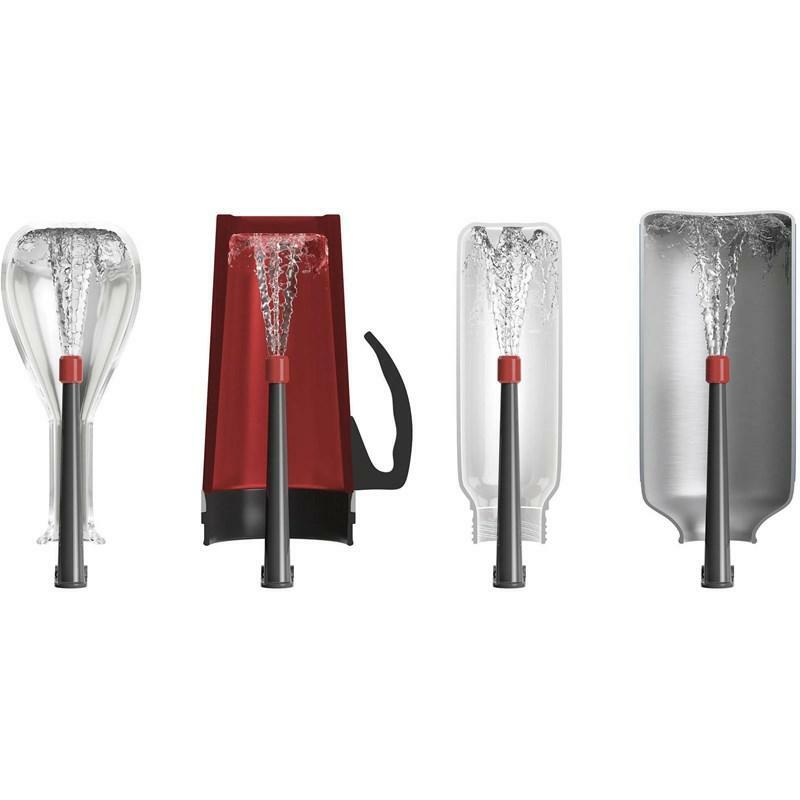 Also, the dishwasher features Piranha™ hard food disposer with removable filter, 46 dBA quiet package with a status light on the door and a 3-digit countdown display with 1-12-hour Delay Start.